The highly-anticipated “Powder” edition of the Air Jordan 10 Retro won’t hit the market until next month. But while waiting for it, Jordan Brand released a very worthy alternative. 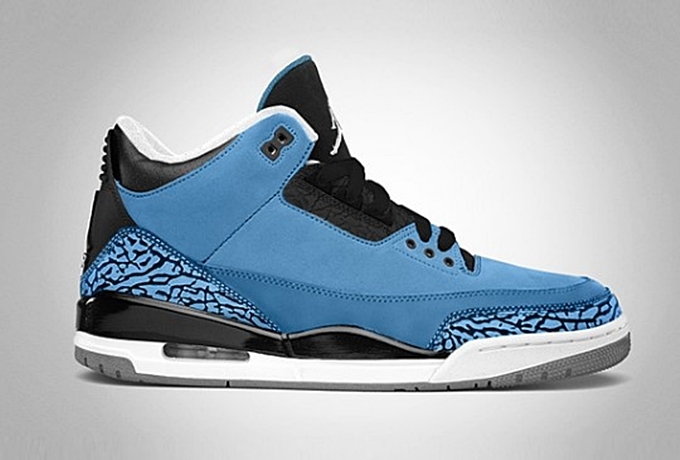 The Air Jordan 3 Retro will be released in the now-popular edition this Saturday, January 11th. This edition, which is officially listed as the Dark Powder Blue/Black-Wolf-Grey-White colorway of the shoe, was made to pay tribute to Chapel Hill — Michael Jordan’s high school alma mater. This is reportedly a limited release so make sure to grab your own pair immediately this weekend for just $170 each pair.